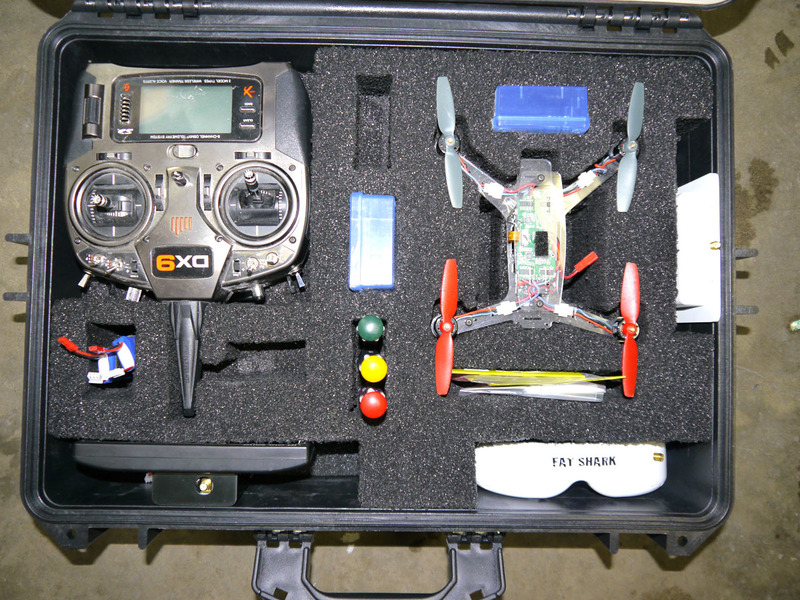 Gather all your 200QX gear and keep it ready to go to the backyard or flight field. The PFG 200QX Carry Case is a weatherproof, very durable, has 4 padlock hasps and, carry handle. 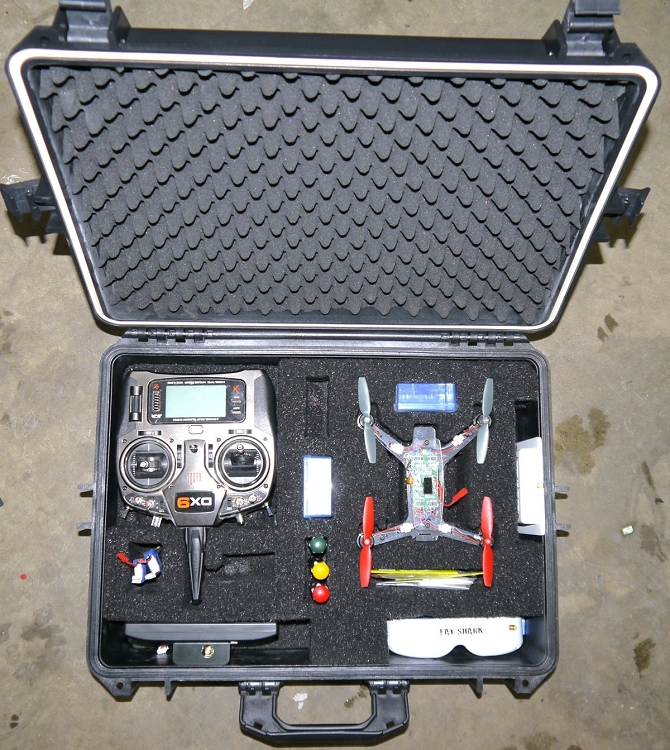 Inside the hard sided case is a custom cut foam insert that holds everything you’ll need to fly and repair your 200QX. 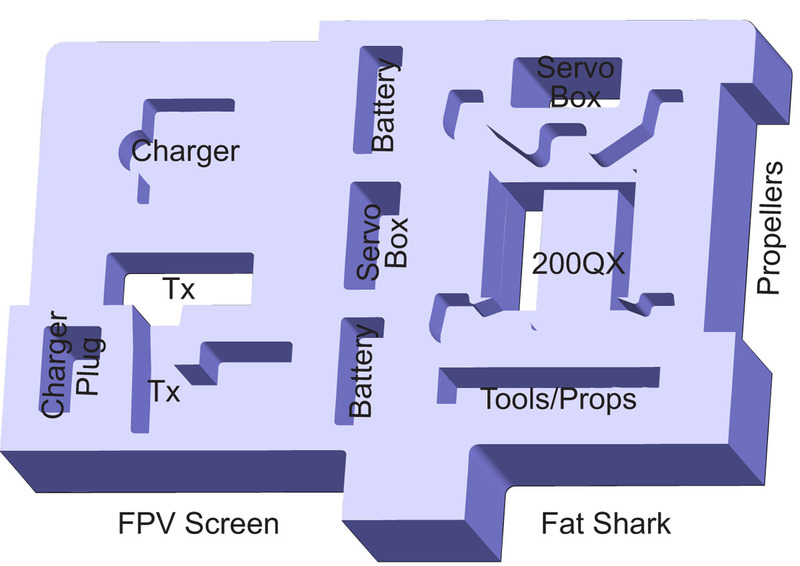 Additional servo box compartment for spares, parts or tools. 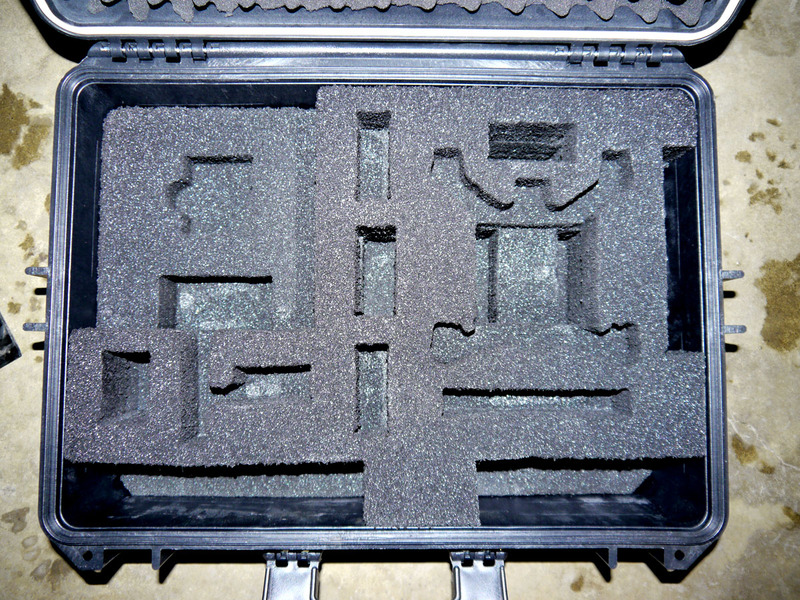 External dimensions (L x W x H): 23 x 17 x 8 1/2"
Approximate internal Dimensions (L x W x H): 20 x 14 x 6"
We only use high quality Dow ETHAFOAM™ SYNERGY™ 1000 polyethylene foam. No light weight low density foams or pick and pluck. Each custom made insert is cut on a CNC mill and hand finished here in house at Phoenix Flight Gear. That will ensure that you receive a fully finished case that is ready to go to the field and can withstand the rigors of travel and transport while keeping you expensive equipment secure, safe and, dry. Weight of 200QX Case is: 11 lbs.